Teaching or lecturing well is not possible without adequate preparation. Indeed, there are several teachers or lecturers, who are able to wake up, to wash my face, and instantly to be able to teach it well. However, it seems not much teachers or lecturers look like it. There are some lecturers who come to the class without any preparations. Yes, they know the materials that they teach. For some lecturers, the materials will always be the same from time to time, on the other hand other are motivated to dig out new teaching materials and methods. Preparation well before teaching is a form of a lecturer to respect himself and his students. Although teaching for only 100 minutes in a class, it is possible for some lecturers to prepare themselves for more than two hours, or even two days. Why does a lecturer need more than two hour preparation? Although one of the tasks of teaching faculty, it does not mean that a lecturer knows all that will be lectured or taught for a long time. Science continues to evolve. Some even develops very fast. To participate in this development, and provide relevant for students, the lecturer must always learn. In wikipedia, human learning may occur as part of education, personal development, schooling, or training. It may be goal-oriented and may be aided by motivation. The study of how learning occurs is part of educational psychology, neuropsychology, learning theory, and pedagogy. Learning may occur as a result of habituation or classical conditioning, seen in many animal species, or as a result of more complex activities such as play, seen only in relatively intelligent animals. Therefore, it could be stated that learning needs motivation so that it can be a habit for the learner. A lecturer, it goes without saying, has to learn and provide himself with his teaching materials before he stands in front of his class. In fact, without having and mastering teaching materials properly, the quality of learning in the classroom does not seem to be the maximum. It is strange if there is a lecturer teaching a course not relating his materials with the nowadays condition. The transparency of the material in class becomes more with the ideas of information technology development. Lecturers can be stated failed and old-fashioned if he does not use the nowadays materials. Preparation of a lecturer in teaching can be done in many ways. First, most of lecturers usually read textbooks that record the development of the latest science to be taught. Books are often not sufficiently advanced, sometimes a lecturer needs to be equipped with a scientific journal. A lecturer should prepare teaching materials that can be absorbed by the student. This material may include textbooks, hands-out, slide presentations, or journal / parts books / magazines scientific / other relevant materials. This material will greatly assist students in understanding the course content. Moreover, a lecturer should prepare scenarios in the classroom. This scenario is not to be written, but how time is used in the classroom, how students are involved in the process, and how the teaching materials supplied, must have been unthinkable. But if a lecturer wants to write, it will be very good and help to transfer knowledge to his students. This becomes very important, if a lecturer says that he applies a student-centered learning. The use of easily understood language also needs to be considered. A lecturer should remember that not all students come to the class with the same maturity level. There are lots of examples about leveling in education, they are level of knowledge, level of abilities, etc. In Perbanas Institute situation, for instance, an English lecturer usually teaches in a class that consists of 40 students. They have different levels of English ability. Perbanas Institute, likes other levels of education in Indonesia, does not want to put its students according to the students English language abilities. Therefore, an English language lecturer must work harder, for example, he must be able to deliver the materials by using simple language, even some other lecturers use Indonesian language in order to make the students understand the materials taught. Here, it can be stated that a class is unique and the teaching methods used cannot be the same from one class to another class. The materials can be the same but the way how a lecturer to deliver the materials in a class is an art. That’s why some says teaching is an art. Thanks Mbak Mardiana. God bless us always. Okey bro. It is inspiring. We should try to be our best pa Edy. We should not talk and talk in a sweet face and sweet way but in deep heart and our life we do not do good heart and good deeds. You’re welcome Bapak dan Ibu. 5.1.1 The good lecturer is always coming on time. 5.1.2 The good lecturer is always responding the students who don’t understand. 5.2.1 He is always explain the lesson patiently. 5.2.2 He is always do the best for the students. 5.2.3 He is always give a smille when he’s teaching. 5.3.1 The best ways to get master English in Perbanas Institute is repeat the material that has been discussed. 5.1.1 The good lecturer can help end explein what student confused. 5.1.2 The good lecturer is always smile during teaching time and ask student to smile too. 5.2.1 He is always Interpret each subject matter with good. 5.2.2 He is always understanding and listening. 5.2.3 He is always give a motivation. 5.3.1 The best ways to get master English in Perbanas Institute is follow the lessons which has been in practice the well. 5.3.2 The best ways to get master English in Perbanas Institute is repeat the english material that has been discuss. 5.1.1 The good lecturer is always dicipline and on time. 5.1.2 The good lecturer is always patiently when he is teaching. 5.2.1 Mr.Septo is always understanding and patiently. 5.2.2 Mr.Septo is caring to his students. 5.2.3 Mr.Septo is never give up on his students. 5.3.1 The best ways to get master English in Perbanas Institute is followed the English course. 5.3.2 The best ways to get master English in Perbanas Institute is hone my skiil in speaking English. 5.1.1 The good lecturer is kind and discipline. 5.1.2 The good lecturer is always smile when he is teaching. 5.2.1 He is a proffesional teacher. 5.2.2 He is always understanding. 5.2.3 He is always patiently. 5.3.1 The best ways to get master English in Perbanas Institute is followed english course. 5.3.2 The best ways to get master English in Perbanas Institute is discussing with british english. 5.1.1 The good lecturer is always understanding and coming on time . 5.1.2 The good lecturer is patiently when he is teaching . 5.2.1 Mr.Septo is always do the best when he is teaching . 5.2.2 Mr.Septo is always discipline. 5.2.3 Mr.Septo is always respectly. 5.3.1 The best ways to get master English in Perbanas Institute is trying to understand English language. 5.3.2 The best ways to get Master English in Perbanas Institute is hone my skill in speaking English. Monday , March ,16 , 2015 . Lisa Kurnia / 1312000081 / SM / C / Monday / 13.30-16.00 / EPP / MKK 3023 / Mr.Septo . 5.1.1 The good lecturer is always appreciate and understanding the student ability. 5.1.2 The good lecturer is always explain the material patiently. 5.2.1 Mr.Septo is always caring to his students. 5.2.2 Mr.Septo is appreciate the student ability. 5.2.3 Mr.Septo is always smiling. 5.3.1 The best ways to get master English in Perbanas Institute is study hard than before . A good lecturer is a lecturer who prepared his/her material to be explain for the students. A good lecturer is a lecturer who could make the class situation more fun. In my opinion,Mr. Septo teaching patiently, especially to my class that does not have a good english skills. Mr. Septo always corrected the way we talk english if we said it wrong,like spelling and grammar. Moreover, Mr. Septo always gave a review about what we learned that day before the class finished. The best ways to get Master English in Perbanas Institute is speak english every day. Moreover, the best ways is follow the lecturer instructions. 5.1.1 A good lecturer is who always teach the subject matter clearly to students. 5.1.2 A good lecturer is a lecturer who can increase the students knowledge. 5.2.1 Mr. Septo always appreciate the student ability. 5.2.2 Mr. Septo explain the lessons clearly. 5.2.3 Mr. Septo tolerate the weaknesses of his students. 5.3.1 The best ways to get master English in Perbanas Institute is familiarize yourself to speak with english. 5.1.1 The good lecturer is always teach his student patiently. 5.1.2 The good lecturer is that can explain the material well and easy to understand. 5.2.1 Mr.Septo always go to class on time. 5.2.2 Mr.Septo always gives a lot of motivation. 5.2.3 Mr.Septo always teaches his students to smile everytime. 5.3.1 The best way to get master English in Perbanas Institute is to practice and repeat the lessons everyday. 5.3.2 The best way to get master English in Perbanas Institute is often consulted with his lecturer. 5.1.1. A good lecturer should learn everyday or extremely sayings said that lecturers study on the whole of his/her time. The conclusion lecturers should study all the time. 5.1.2. A good lecturer have the mentality not to be beaten by his/her student in knowledge, and a good lecturer must be wise in his/her attitude and when they speak. The point is to know how to treat students with a various character. 5.2.1. Mr. Septo does teach us that we must start the class with joy. 5.2.2. Mr. Septo does teach us to be passionate in the class. 5.2.3. Mr. Septo does teach us to be an active speaker and not to be lazy. 5.3.1. I do speak english with my friend, i was a bit of bashful when to speak english in front of the crowd, now i’m not think that way anymore. 5.3.2. I do read more classic english literature. 5.1.1 A good lecturer is who like to share knowledge with students. 5.1.2 A good lecturer is who provide the motivation and spirit in learning activity. 5.2.1 Mr. Septo is always giving the assignment before the class finished. 5.2.2 Mr. Septo always provide the motivation and spirit in the class. 5.2.3 Mr. Septo always train students to confidence. 5.3.1 The best ways to get master English in Perbanas Institute is train ability to read and speak english. 5.3.2 The best ways to get master English in Perbanas Institute is following the course of the english language. Good lecturer is capable to understand students ability and when the students are having English problems, he can help them to solve it. Good lecturer has to teach his students with patience and love. In my class, Mr. Septo teaches us to smile every time. He teaches us to be discipline. Moreover, Mr. Septo teaches us to pay attention to every little things. The best way to get master English in Perbanas is to practice our English everyday. Another best way to get master English in Perbanas is to discuss English materials with the lecturer. 5.1.1 The good lecturer is know how to teach and make student understand. 5.1.2 The good lecturer is patiently in teaching. 5.2.1 Mr.Septo is always fun when he in class. 5.2.2 Mr.Septo is always caring to student. A good lecturer is a lecturer who could make all students understand the lesson he taught. alone at home with a lot of English-language movies without subtitles and listen to songs west. Good lecturer is a lecturer who can explain the material well and easily understood his students. In addition, the good lecturer is teaching students patiently to understand the lesson material. The first teaching techniques that do Mr.Septo is to teach students to smile every time. Second, he always taught his students to discipline in terms of time and collect duties. Third, he always gives motivation and encouragement to students in order to become a better person. The best way to get master English in Perbanas Institute is to practice and repeat the lessons everyday. Another best way to get master English in Perbanas Institute is often consulted with his lecturer. A good teacher is who can make his students be theirselves and motivate them to study independently. In my opinion, a good teacher is who could give lessons, science, and a wide knowledge to students, and make students understand what he teaches. The first, in my opinion, a good way to teach is who can motivate students to practice reading english a lot and memorizing vocabularies. The second, a good way to teach is listening english a lot to the CD or Social Media. The last, I think that is the most effective way to learn english with the joy of music or films so i got excited. My learning way in class is listening the lecturer explaining the lecture, then i try to understand what he’s teaching, re-learn what my lecturer teaches then practice it to people around. A good lecturer can make his/her students easily understand the study material. A good lecturer also motivates his/her students so they have a motivation for studying english. Mr. Septo, my lecturer, has his best teaching techniques. He can make the class lively by telling a joke, so students didn’t get bored. He also teach us how to speak well and imitating cinta laura’s speaking style to get rid our shy about speaking english (this kind of teaching is rare for me, but challenging enough). In addition, He always smile and patiently teaching the students. I have my own style of studying in Mr. Septo’s class. First, I have to prepare a dictionary, because there are many new vocabularies that I never heard before. Second, keep in my mind of my lecturer’s word, or else I will confused about the next material lesson because all of it is connected. At last, I have to come to my lecturer’s room often to consult about homework or lesson. 5.2.1 Mr.Septo is always on time to the classroom. 5.2.2 Mr.Septo is always smiling. 5.2.3 Mr.Septo is always train students to be confidence. 5.3.2 The best ways to get master English in Perbanas Institute is follow Mr.Septo instructions. A good lecturer is always coming on time. A good lecturer who can motivate their student with creative teaching methods. Mr.Septo’s teaching patienly. Always review the last lessons. With him we must always smile when studying. The best ways to get master english in Perbanas Institute join the course english. The best ways to get master english in Perbanas Institute practice reading and speaking english at home. 5.1.1 The good lecturer is always at attentive to the problems or difficulties student. 5.1.2 The good lecturer is always create a pleasant atmosphere in the class. 5.2.1 Mr.Septo is always giving spirit and motivation. 5.2.2 Mr.Septo is always on time to the classroom. 5.2.3 Mr.Septo is tolerate the weaknesses of his students. Ridwan thanks, you should follow the good things. I think lecturers need preparation before teaching in the classroom. He have to prepare about materials which has given to students. I believe preparation is part of succes in doing something. Therefore, lectures do need preparation. In my opinion, a good lecturer is communicative and smart person. He can transfer his knowledge for the students in the class. I think three best ways of teaching techniques which Mr.Septo usually does in our class are interactive, communicative, and always ready with anything we ask to him. In my view, two best ways of studying for me in Mr.Septo’s class and at home are, active in the class such as ask and give our opinion in order to become an active partisipation. Then, create English conversation club among perbanas student, especially in my class D3 Accounting program. At last, I’m always do my homework and submit it to Mr.Septo before deadline. Korinus, becoming a good lecturer is not easy, you should be committed. 5.2.1 Mr.Septo is always smiling. 5.2.2 Mr.Septo is always give a motivation. 5.2.3 Mr.Septo is always caring to student. Ridwan, becoming a good lecturer needs lots of efforts. How about you? 5.1	why lecturers need to be prepared before the start of the lesson, or do his duty to teach the students because that faculty can prepare any material that will be taught, or given to students. So that the lecturer is prepared with ingredients that will discussion in class later. So that students can be taught to understand the lessons conveyed by the lecturer, and if there is trouble in class, the student can ask the lecturer, and is a regular lecturer better understand and be able to resolve any issues that will be faced in class. 2. Mr. septo always apply discipline for students to collect duties. 3. Mr. septo always familiarize students for not ditching her lesson. 1. The best way to add English grammar while at home and in the classroom Mr.septo good is often communicate using the English language to both the faculty and other students. 2. The best way to be able to read English with a good time at home and in the classroom Mr.septo good is often read English articles. 3. And do not forget often practiced back at home, we are working to facilitate English language. Atika, studying also needs commitment. Hayo, study harder. 5.1.1 A good lecturer is who provide the motivation and spirit in learning activity. 5.1.2 A good lecturer is a lecturer who prepared his/her material to be explain for the student. 5.2.1 Mr. Septo always train a students to confindence. 5.2.2 Mr. Septo always corrected the way we talk English if we said wrong, like spelling and grammar. 5.2.3 Mr. Septo always gave a review about what we learned that day before the class finished. 5.3.1 The best ways to get master English in Perbanas Institute is speak English every day. 5.3.2 The best ways to get master English in Perbanas Institute is train ability to read and speak English. 5.3.3 The best ways to get master English in Perbanas Institute is follow the lecturer instruction. Thanks ya Atika. It is not easy to a good lecturer as well as a good student. 5.1.3 The good lecturer is always coming on time. Della, your idea is ok. However, try to be careful in grammar. A good lecturer usually preparation before ready to teaching in the class.Why a lecturer need preparation?First,interaction between a lecturer and student will be fluently.Second,if a lecturer have a preparation,it can be mastering the material not only from the books,however from the experience too.It can be help a lecturer to answer the all questions from student.Third,the class will be active because a lecturer always have a topic for discussion. My opinion about teaching techniques Mr.Septo : Mr.Septo always share experiences that can motivate his student.Mr.Septo always teach his students to speak up in class.Mr.Septo always humorous so that class is always active. Best ways to improve English grammar and English reading skills in class or after the class,i must active in the class,for example practice speaking English with friends.Memorize vocabulary that is often used from the dictionary,and improve after the class with my family at home.Usually i listening English songs or watching a dvd with English languange. 5.1 Three reasons why a lecturer need a preparation. 1 Designed to help lecturer to teaching in class, then the lecturer have to prepare all ingredient material to teach and the last is for limiting the topic and make it easy for students to understanding what lecturer means. 5.2 My opinion for the best ways of teaching techniques by Mr. Septo, First he is always discipline and on time, then He is always give us simple example, and He is always said “Any question?” to every explanation. 5.3 In my view, the best ways of studying for me in Mr.Septo’s class and at home are, active in the class such as ask and give our opinion in order to become an active participation. Then go trip or speaking with native speakers. And the last is exercise everyday to use English language. thank you Dinny. Have a nice study. Reza thanks ya. Please always study English. Mariza, why did you write for only one idea? Thank you Bimo. Study hard. .1. Two reasons why a lecturer need a preparation are : first, a lecturer must explain the material well to all students. Second, a lecturer should make all students understand the material. 5.2. Three best ways of teaching ways or teaching techniques that Mr. Septo usually does in the class are : Mr.Septo is always come on time in the classroom, Mr. Septo always gives motivation to students to become a better person, and Mr. Septo always teach us how to speak english well. 5.3. Three best ways of studying for me in Mr. Septo’s class and at home if i want to improve my English grammar and English reading skills well are : I paid attention when he was teaching in front of the class, doing his homework diligently and well, and at home I practiced alone with a lot of English-language movies without subtitles and listen to songs west. Fitha, the ideas are good, thanks a lot. 5.1.1 A good lecturer is who prepared simple materials. 5.1.2 A good lecturer gives students a motivation in learning activity. 5.2.1 Mr. Septo always explain the material patiently. 5.2.2 Mr. Septo always review a previous materials before we learn something new. 5.2.3 Mr. Septo is discipline. 5.3.1 The best ways to improve your english grammar and english reading is train ability to speak english if you get wrong when you spell a word, don’t be shame. 5.3.2 The best ways to improve your english grammar and english reading is try to read novel in english language. is always practice it when you at home or if you have free time. 5.1.1. A lecturer need a preparation because every classroom have different level of ability, so that a lecturer need preparation to make something new to his student to understand the materials. 5.1.2. A lecturer need preparation because a lecturer can not using the same methods to every class that have a different level of ability. 5.1.3. A lecturer need preparation because he should make the heavy materials to be simple materials, so that the students can absorb the materials easily. 5.2.1. Mr. Septo always coming on time. 5.2.2. Mr. Septo always smile and always remind his student to smile too. 5.2.3. Mr. Septo always deliver his materials in simple language, so his student can easily to understand what his said about the materials. 5.3.1. The best way of studying English in Mr. Septo’s class and at home is always repeat Mr. Septo’s materials in every day. 5.3.2. The best way of studying English in Mr. Septo’s class and at home is find a new vocabulary and try making sentences and repeat everyday. 5.3.3. The best way of studying English in Mr. Septo’s class and at home is making conversation with friends in every single day. 5.1.1 A lecturer need preparation well before teaching is a form of a lecturer to respect himself and his students. 5.1.2 A lecturer should prepare teaching materials that can be absorbed by the student. 5.1.3 A lecturer who prepared his/her material to be explain for the students is a goood lecturer. 5.2.2 Mr. Septo explains the material patiently. 5.3.1 Pay close attention to grammar when i read English book. 5.3.2 Implementing the basics of reading improvement by looking at the picutres. 5.3.2 And also listening to the music and watching movies. A good lecturer usually preparation before ready to teaching in the class because the lecturer must mastering the material. When students ask about the materials a lecturers should be able to answer the questions. And lecturer able to provide experience to the students not only from the books. I think Mr. Septo is very nice, Mr. Septo teaching students to be diligent, discipline and during the task on time. Mr. Septo help students to prepare themselves during the interview. I learn to English Grammer for example practice with my friend or my family, and than i usually Listening English song. While i learn to reading for example watching DVD with English Language. I ask to my friend who smarter than i and i must active in the class. -To have planning of what she or he want to teaching the students. -Because lecturer must to teaching from basic, so the students understand what a lecturer means. -Mr. Septo always teaching the material calmly and Mr. Septo makes me smile. Lecturers need preparation before teaching so that he can prepare the atmosphere like what he wants when the learning is in progress. Materials will be provided by the lecturers not only according to the provisions, but also can load the motivation to students. Mr Septo always arrives on time in the classroom. He always gives the sense when we do not understand the material he was given. Mr Septo also always teach us how to speak English well. I always do my homework. I always motivate my self to understand the materials. I also listen and watch the movie without subtitle Indonesia language. 1. Make the quality of learning in the classroom. A lecturer must know how to identify students different learning styles and ways students learn. They understand the need to respond to differences by creating multiple paths to learning for individuals and groups of students, including students with special learning needs. So they can make games or anything else to make students enjoy in the class. 3. The material must greatly assist students in understanding the lessons content. A lecturer must be prepared the materials before teaching to make a good atmosphere in the class and make students easy to understanding materials lesson. 1. Mr. Septo always make counting 1…2…3… when he forget about something to say in front of the class. So I think it’s the unique techniques that can make the students follow his way to remember something. 3. He is so friendly and care to students. 5.1.1 Because the lecturer what materials need to be explained to his students in the class. 5.1.2 To be a good lecturer also need preparation before teaching. 5.2.1 Mr. Septo always arrive on time when there is to teaching. 5.2.2 Mr. Septo always train his students to speak English. 5.2.3 Mr. Septo always correct if there are any of his students mention the word in the English Language. 5.3.1 Always review the subject matter described by Mr. Septo. 5.3.2 English weekly train her outside and outside the classroom. 5.3.3 Often reading English’s book as an exercise. – a lecturer need a preparation before they teaching such as reading articles, because they need to adapt the course with related issues nowadays, so it can make the student easily to understand the topic. -to improve my english reading skills is trying to make a conversation using english with my friends. 5.1.1	The good lecturer is understanding the students. 5.1.2	The good lecturer is preparation before teaching. 5.2.1	Mr.Septo always understanding the students. 5.2.2	Mr. Septo always corrected the way we talk english if we said it wrong. 5.2.3	Mr.Septo always coming on time. 5.3.1	The best ways to get master English in Perbanas Institute is always speak english. 5.3.2	The best ways to get master English in Perbanas Institute is following a course of english. 5.1.1. A lecturer must know the materials for teaching. 5.1.3. Need to know how to communicate in a good way to teaching students in class. 5.2.1. Mr. Septo is active to talk in English with students in my class. 5.2.2. If the students do the wrong thing, then Mr. Septo is always reminding us the good thing. 5.2.3. Mr. Septo gives me and my friends a good motivation to study in class. 5.3.1. Mr. Septo always gave us a homework that we must learn by our self without copying other works. 5.3.2. Repeat the materials that we’ve had in a class before to understand next materials. 5.3.3. Mr. Septo remind us to must study hard if we want to get a good score in this course. 5.1 ) why lecturers need preparation before teaching? because he had to prepare the ingredients of which have been given to students and faculty that good is a lecturer who can make all students understand the lesson being taught. 5.2) – Mr. septo teaches us to pay attention to every little thing. 3. tried over many movies that speak English without subtitles and listen to the songs of the west. 5.1.1 The good lecturer always understands and teachs his student patiently. 5.1.2 The good lecturer can explain the material well and give appreciations to works done by his/her students with a big score. 5.2.1 He always gives us motivation, but always complains about our behaviour. 5.2.2 He always corrects the spelling and grammar. 5.2.3 Mr. Septo always comes to class on time and always brings a bottle of aqua. 5.3.1 The best ways to get a master English in Perbanas Institute is repeat the material which has been taught by lecturers. 5.3.2 The best ways to get a master English in Perbanas Institute is always do the homework and always recite the sentences and vocab. 5.3.3 The best ways to get a master English in Perbanas Institute is study hard and often repeat the material. 5.1.1 Every lecturer need a preparation to improve their lecturing skills. 5.1.2 Every lecturer need a preparation to adapt with new material so they can give the easy way to teach their students. 5.1.3 Every lecturer need a preparation because with preparation everything become easy to teach. 5.2.1 Mr.Septo always motivate us when we tired and unfocused. 5.2.2 Mr.Septo always teach us about interview technique in class so we can adapt with interview atmosphere someday. 5.2.3 Mr.Septo teach me how to answer the interviewer and many more. 5.3.1 One of best ways to improve my English grammar is with listen to the english music so we can learning with fun and enjoy. 5.3.2 Another ways to improve my grammar and reading skills is with reading a book, actually a book with english text. 5.3.3 Also we can improve grammar and reading skill by following the class with focus and active. 5.1 Lecturer need preparation so that he’s can teach with full energy, a good matery, a good health he’s can feel comfortable when they teaching. So that he’s not substract our class matery. So that what the matery will makes us understand. 5.2 He’s is always smile when he’s teaching in the class. He’s always reminds his students to always smile. He’s always gave us homework. 5.3 The best ways to get master. The best ways to get master English in Perbanas Institute is do the homework well and speaks english everyday. The best ways to of studying english by audio visual media from movies/song because we can learn from there. 5.1. Why a lecturer need a preparation? 1. That at the time of teaching, lecturer do not waste time. 2. That at the time of teaching, lecturer do deliver lessons well. 3. So lecturer can easily communicate with student. 5.2. Best ways of teachering ways or teaching techniques that Mr. Septo usually does in the class with you? 1. When Mr. Septo help us to correct my grammar. 2. When Mr. Septo singing with student. 5.3. Best ways of studying for you in Mr. Septo’s class and at home if you want to improve your English grammar and English reading skill well. 1. I fell more understand my grammar, and can be launched my English skill. 2. I can understand how to make job application, curriculum vitae and esay. 3. I hope can application the lesson at the moment I’am working. A good lecturers are lecturers who are able to make the students understand what is being taught. For me lecturers should prepare to teach because teaching is a form of preparation prior to the spirit of a given faculty to students. Mr.septo always prepare materials to be studied, he always set a good example as the discipline in terms of time, it is never too late to teach. Teaching techniques are best in class Mr. septo which he taught his students clearly and slowly.Mr, septo always taught procedures for good behavior and mr septo always give duty and examined it carefully.The thing I remember was Mr septo always wanted his students to smile.This is the way mr.septo to teach students to become better again. It’s important because with the preparation of the material before teaching will make learning activities in the classroom be effective and efficient. It’s not only helps lecturers delivered curriculum is well, but also to make students more quickly in understanding. if the lecturer does not prepare the material before teaching, the lecturer will have difficulty in delivering content of the material and will not be able to share time in its delivery and will not detail about it. Lecturer need a preparation because every classroom have different level of ability, so that a lecturer need preparation to make something new to his student to understand the materials. Studying needs motivation. So if a lecturer make preparation first, they can create many ways to motivated their students for more give attention and concentration in the class. Because sometimes classes is boring. The material must greatly assist students in understanding the lessons content. A lecturer must be prepared the materials before teaching to make a good atmosphere in the class and make students easy to understanding materials lesson. Become a teacher or lecturer in regards preparing learning is quite important. Because in addition to the preparation of the lecturers should also know what the learning material will be explained to the student body primarily with methods and ways of teaching. Indeed there is a difference of the unique things happen during the course of Mr. Septo, like the hand should not be leaning Chin, a sitting position. In addition, Mr. Septo also often give homework, any homework done always checked also note more specific things like Grammar and Tenses. The learning can be effective if the student can understand clearly what is conveyed by the lecturer. in this case if the lecturer doesn’t understand or didn’t prepare the materials for learning. how students will understand what is conveyed by the lecturer. so it’s bad for the value or the understanding of the students themselves. I think lecturer should be able to preparing the material for learning . if lecturer can explain with simple language and clear. students can understand what has been a lecturer teaching . In my opinion, lecturers need preparation before teaching. The preparation of the example it is to prepare the material that will give. It is not only benefits the students but also benefit teachers. Why? Because can add insight and knowledge of lecturers. In addition it can make teachers are increasingly aware of the material that will be presented. It will be good in the process of teaching and learning in class. And create a good communication between faculty and students. In my opinion the lecturer is very necessary preparation for teaching as a lecturer with the preparation of the lecturer could know what he would convey to their students. He should also understand the lessons that will be conveyed. With the existence of a definite preparation lecturer will explain clearly so that students can understand. With the preparation of a lecturer can also be calm in the face of their students. The lecturer can also be better prepared for work. With the preparation of a lecturer can finish its work punctually. In addition with the preparation of professors could face problems in the classroom and can take the solution in the problem when processed. The lecturer is also better prepared to work properly. With the preparation of a lecturer can take decisions wisely. Professors can answer questions from their students. With the preparation of the students can more easily understand what the lecture. The lecturers before teaching need to do the preparation. Because of with the preparation can be used as a basis for drawing up the plan of learning in order to make it more focused and effective and efficient. The first best teaching techniques in Mr. Septo’s class are he teaches his students present the material in a clearly and slowly. The second he is patient teaches his student in class. The third he is gives us a lot of home works in every week with the purpose that students have to study at home and practice our English more from the home works. In Mr. Septo class the students must be smiling. He is a good lecturer can motivate the students to be a better person. The lecturers need preparation because preparation make the plan of learning in order to make it more focused and effective. The lecturer is also better prepared to work properly. With the preparation a lecturer can take decisions wisely. With preparation of the students can more easily understand what the lecture. In my opinion, Mr. Septi recognized all his students well. Each meeting in the classroom, Mr. Septo always called all his students to use the names of each of nearly 95%. Mr. Septo memorized all the names of his students. This shows that Mr. Septo have care attitude. This attitude I think there needs to be within a lecturer. Attitudes matter like this can make the spirit of the students. It also shows a good way of learning. In my opinion, a lecturer needs to make preparations before teaching. Preparation is done to determine the topics / materials to be given. The other thing is to create connections during the learning process. A lecturer needs to create good communication in the classroom. Communication will be created if between lecturers and students have reciprocal communication. It is also to give encouragement. Therefore, a teacher needs to prepare for all these things. For me, it depends from the lecturer .. how they can give information to the student with ease and esy for them to learn from. It is better for the lecturer to prepare the material that will be given to the student so it won’t be out of the topic and fit with the syllabus as well. Every lecturer needs preparation before teaching in the classroom. For example, such as preparing lessons. So the learning process will be more effective and efficient, and students can understand what is conveyed by lecturers. This will be very good for the learning process in the classroom, because students will be more interested in being delivered by lecturers, and students can be more active in the class. If the lecturers does not do the preparation of the learning process will not be attractive to students. besides that the material that will be given can not understood by students. A lecturer is a professional educator. They don’t only teach profesionally, however, they must deliver the knowledge in meaningful ways. 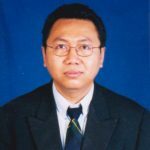 Mr. Septo is not only a professional lecturer, he also has lots of experiences which he always gives to his students through the process of learning. When some of us mispronunce any word in English, he never gives up on guiding us to pronunce the word appropriately. Furthermore, he always gives us lots of tasks, assignments, and discussion in order to sharpen our English proficiency. The simplistic learning and teaching style which he uses in his class has made deep understanding among us. The learning style has made us comprehend every subject which Mr. Septo teaches. Teaching well impossible without preparation enough .Prepare well before teaching is a form of a lecturer honours himself and respect students .To teach two hours in class , it is likely the preparation more than two hours , or even two days .Although one of the tasks of lecturer teaching , it does not mean lecturer know what would be taught for a long time .Science has been growing. Some even very quickly .To follow this development and giving the relevant to students , then lecturer should always learning. Lecturers also need to consider the use of language in communication .Besides prepares matter of teaching , lecturers also could plan lecture important step that needs to be done is recognizing background student .By understanding intellectual capacities student , lecturers can convey lecture material in accordance with the grasp of absorption capacity and student , so that the material of lectures not too difficult and also not too easy for students .The diversity of teaching methods applied by lecturers is a form of creativity should be continuously improved, because creativity that would be a signature style that will form special branding through to students . Before classes begin, lecturers have to do a lot of preparation. What courses that will be taught? What is the purpose of this study? Why is there this lecture? What is desired results from this study? This all requires thinking – pondered. Some a lecturer just stayed received the order to teach this and that, with course material that has been determined by the curriculum team. After that a lecturer had to fabricate material. It is also not easy.. In addition to the subject matter of college, a lecturer must think about how to present it. Most lecturers only move forward without a plan, without a script / scenario. The result? Boring. Often you find a lecturer is boring, is not it? Lazy to go to college. Finally we finished antipathy toward the material. Included in it is to prepare training materials, experiments, quizzes, case studies, and examinations. Not easy to prepare it all. Thank you, Salsa, you should do also preparation before your classes. In my opinion there must be preparation lecturers in teaching, many professors who teach just sitting in front of it and the lack of liveliness in the class, but there is also a lecturer who makes the classroom atmosphere is very warm and active. A lecturer should also be more aware of what he teaches. To prepare the material or material which would he explain in the classroom. He also had to learn how to create an atmosphere of fun class so that students can be interested and motivated in things he taught both in terms of their moral lesson and taught, for it then there must be good communication between students and lecturers. Therefore to a professor a lot of things he should know and more is also a great responsibility to make all the students who he taught to understand what he taught his students. Spirit to the entire faculty Banks Association. Novi, thanks a lot, Lecturers need preparation. How are the students? I agree with the statement that the lecturer does require preparation before teaching. Teaching is not easy because so many ways students can received lessons. There are easily accept the way lecturer teach by the book, there are easy to accept if the allusion, and there is also accept if with jokes. So many kinds of students that lecturers could not only be a single personality in teaching. As well as the students, faculty who teach also need to be prepared in response to the diversity of students. Sometimes, teachers should explain the material according to the theory and the book should be, sometimes with illustrations so easily absorbed by the students, sometimes with the story even jokes to attract students overall. However, behind all of the most important is the faculty must be prepared physically and mentally before teaching for lecturer mood also affects the state of the students receive lessons later. Art teaching faculty also must be coupled with appropriate materials with the flow of the lesson so that science and jokes support learning. Keep spirit!! Reni, thank you. You need to study harder. Lecturers do need preparation before teaching, even for each class they have to perform different preparations. This is because each class has their individual needs, even after being in a class there are students who have different needs. In class there are students who are currently given material and can immediately understand the material, there are students who can understand the material presented once explained repeatedly, but there also has been described many times and still do not understand the material, from this side of the lecturers are very need to make preparations before teaching. In my opinion, qualified lecturers are lecturers are able to convey the material to students with communicative so that students are able to accept and understand the material, not just only hear without being able to understand the material has been delivered. Lecturers should be constantly updating their teaching, because year after year the students come from a different era, when the way of teaching faculty is ancient and always take the same material from year to year, it would be boring, so that lecturers should always develop the material and adjust to state students by teaching a more creative way. Lecturers should not continue to talk, but there must be interaction in it, so lecturers should create an atmosphere of active and able to attract the attention of students to be active so that the interaction in the classroom, through this interaction lecturers and students will get to know each other. So the preparation has to be done by the lecturers before they teach, because without realizing any class can not be treated the same, because in the class there are a lot of students who have different needs when learning. So, indeed indispensable preparation before teaching faculty so that time will be more effective teaching and learning. In my opinion, every thing need planing and preparation, like as teaching or lecturing need more preparation, because when we teaching we face different character in class, make some preparation is important, so we can know what we explain to student. Lecturers should be able to transfer the material as they present it for their students as effective as they can. The preparations that have been made by lecturers before teaching will help them presenting materials in a clear and engaging way. Good lecturers teach their students patiently. The lecturers will teach you with step by step, like Mr. Septo, even though his students still do not understand yet. If the students do not understand about what they have been teach before, the lecturers will find another ways to make the students really understand the subject or material. In this case, the lecturers should know that students have a different ability. There are students who have more intelligence than other students and there are also students who have not more intelligence. So, do lecturers need preparation? Yes, they do, in order to avoid error the lecturers in presenting materials among their students understand with the materials. In my opinion every student has a different character and ability there are students who directly understand the material given there should be many times given to understand new material, and therefore the lecturer is highly recommended to prepare in advance the material that will be presented to students. Most students will not know if the professor only provide material matter and material, so students need creative faculty who teach not boring provide material and theories. because one very influential how lecturers educate with the way professors teach with creative faculty who have the spirit of intention to make a protege of his progress and understand the one who can make the students indirectly liked by his subjects and quickly understand the material that every lecturer it gave. A lecturer should prepare the material before teaching, this is because the material to be delivered to students will develop over time. It will help them presenting materials in a clear way so that students will be more easily understood. In addition, preparing the material is a form of responsibility of a lecturer on the mandate given to him. A lecturer must prepare physically and mentally before teaching. Students will feel very unmotivated if the lecturer come late, with no fresh faces, and have no spirit while teaching. Lecturers are spreaders of motivation in the classroom. Without adequate preparation, it seems to be very difficult to motivate students to be actively involved in the learning process. At the time of the acceleration and the speed of technological progress, we must not turn a blind eye if only considers students learn by how their lecturers learn. Students can show more material updates and more meaningful than they receive from the lecturer. More unique with the speed of internet bandwidth, they distribute the materials through their group, Guidance teaching 10-20 years ago right on target now very old, need to be and should be changed. Students need peers, which assess critically what sources of learning, which suggests a variety of learning resources, are more legitimate, varied, and meaningful. Superiority options no longer exist. Lecturer was no other choice, must have the courage to give up ninety percent of the lecture time to listen, argue led to the birth question; in short; create a center of learning is the learner. In my opinion, lecturers is fifty percent of intermediary for me to get knowledge which is focus on explanation of lecturers. Certainly, It will be difficult for people like me if I get a lecturer who less good in teaching. Doesn’t mean my mind is comparing one lecturers with another lercturer. My point here is that the lecturers who have teaching preparation and didn’t have any preparation. I am very agree with Mr. Septo’s article above. Not only students, but lecturers also need to prepare.Start from the materials for teaching, the use of easily understood language, and tools for teaching corresponding by each characteristics. Lecturers who have a good preparation is desperately needed by most students . I hope many lecturers could be motivated by the article above so that there are many student who don’t have problem about receiving knowledge from their lecturers. So, do lecturers need preparation? Yes, It was very important. I agree with your writing. Sometimes, the relationships between lecturers and students have a gap. So they looked stiff. In fact, good relationship between lecturers and students can improve the quality of their lectures. Besides, all lecturers should prepare themselves when they will be teaching. Most good lecturers are acutely aware of the importance of preparation and keep on planning their lessons throughout their teaching career. Preparation is an important component of the teaching-learning process. Preparation of a good will keep lecturers organized when he is teaches, thus allowing them to teach more, help students reach objectives more easily and manage less. The better prepared the lecturer is the more likely she/he will be able to handle whatever unexpectedly happens in the lesson. Good preparation helps lecturers to be more organized, to help teachers to be more confident when delivering lessons and help teachers to plan lessons that cater for different students. Teach well requires preparation. Moreover, science is growing rapidly as time passed. Therefore, the lecturers shall continue learning in order to follow developments and provide relevant to student. Lecturers also need to consider the language used in communicating because not all students come to class with the same maturity level. In communicating, lecturers should interact with his students. Lecturers should provide the opportunity for students to speak in the class, this will help in the learning process. So, preparation before teaching is very important because it will make the learning process more effective and efficient. Therefore, I hope that all the lecturers, especially lecturers PERBANAS institute can do preparation before teaching the students in the class. I think lecturer without adequate preparation is impossible for teaching the student. A lecturer should prepare their material. Some students have different character. If the lecturer educate it, preparation is important for students too, we can know what lecturer explained. It would be better and effective than have same material preparations. Yeah some lecturers must work harder, especially English language lecturer he must be able to deliver the materials by using simple language. And the students have different abilities. So, the lecturer must be prepare their material before teaching it. In my opinion, teaching or lecturing well is not possible without preparation, A lecturer should remember that not all students come to the class with the same maturity level. That’s why the lecturer must be able to deliver the materials by using simple language in order to make the students understand the materials taught. the last point, a lecturer should prepare teaching materials that can be absorbed by the student. This material may include textbooks, hands-out, slide presentations, or journal / parts books / magazines scientific / other relevant materials. This material will greatly assist students in understanding the course content. Yes, lecturers need preparation. In my opinion, the preparation is an important part of the learning process. Even with good preparation, failures can still occur, especially without good preparations for good preparation is the beginning of the smooth and successful learning process. Criteria for the good professor to student course is measured by its ability to teach. An important step needs to be done is to recognize student background. By understanding the intellectual capacity of students, faculty can deliver lecture material in accordance with the comprehension and acceptance of students, so the course material is not too hard and not too easy for students. Sometimes, students feel bored while studying, to anticipate, namely that teaching is good sometimes have an element of humor. a lecturer must insert humor, which will be very useful icebreaker rigid class. Good teaching is a combination of pleasure and reasoning. Good teaching is not just about how to motivate students to want to learn so well that what is learned is relevant, meaningful, and can also be remembered well. Do lecturers need preparation? Yes. Science has tentative and contemporary characteristic, that means science continues to evolve along with age development. Lecturers need to know about the science lastest update to be taught at the class. Moreover, lecturers have a RPS (Rancangan Pembelajaran Semester) that must be obeyed. Lecturers should prepare the materials so that they know what will they taught to the student. Preparing the materials will make the learning more direct and effective. But some said that learning should be adapted with what student want to know. So, if we connect the two, lecturers should direct their student so that the curiosity of the materials appears. With that curiosity, student could receive the materials well. I strongly agree with your article because Prepare yourself well before teaching is a form of a lecturer respect themselves and respect students. To teach two hours in the classroom, it is possible preparations for more than two hours, or even two days. Although one of the tasks of teaching faculty, does not mean that professors know all that will be taught for a long time. Science continues to evolve. Some even very fast. To follow this development, and provide relevant for students, the lecturers must always learn. In the dictionary merchants, this activity is wholesale . Without wholesale well, the quality of teaching in the classroom does not seem to be the maximum. Preparation of faculty in teaching can be done in many ways. Learning is done, gained particular experience in accordance with the expected goals. Therefore learning strategy should encourage student activity. Activities intended not only limited to physical activity alone but also includes activities that are psychic or mental activity. At the beginning or before the teacher walked into the classroom to give the teaching materials to students, there is the task of a teacher who should not be forgotten is to determine students’ prior knowledge. When giving future teachers teaching materials were not disappointed with the results achieved by students, to gain prior knowledge of the student teachers can make a written pre-test, questions and answers at the beginning of the lesson. By knowing the initial knowledge of students, teachers can strategize select appropriate learning methods to students. What methods will we use? Highly depends on prior knowledge of students, teachers have identified earlier knowledge. Prior knowledge can be derived from the topics that we teach, if students do not have principles, concepts, and facts or have experience, then most likely they have not been able to be used a method that is independent study, only methods that can be applied to the lecture, demonstrations, performances, exercise with friends, brainstorming, pratikum, role play and others. Conversely, if the students have understood the principles, concepts, and the fact that teachers can use the method of discussion, independent studies, case studies, and methods of the incident, the nature of this method of the analysis, and break the problem. Yes of course, lecturer needs a preparation. It is the main point for the lecturer to start the lesson. A good and perfect preparation will cause a nice result for the lesson and for the student to learn. A good lecturer will have an ability to deliver the material to their student nicely, gently and perfectly. So, this only can be done by a good preparation before start the lesson. Plus, a lecturer with a good preparation will be easily for them to teach and will be easier for the student to understand every single material of the lesson. Furthermore, it was a responsibility to every motivated lecturers to give their best in teaching by first prepared a good preparation for their presentation lesson to their student, so their student will easily motivated to study more and more in those lesson if their lecturer does a very well preparation before start teaching. A disciplined lecturer, a spirit lecturer, and a fresh lecturer will cause a motivated student to study well, it will also make a highly respectively to their lecturer and the student will like them so much, it a good result for the student to do well in their studies because a very prepared lecturer. Once they have a very versatile lecturer, they will able to study well and this why the lecturer need a good preparation before start their lesson. Without a good preparation, it will be disaster for the student and also the lecturer because unprepared lecturer will be difficult to deliver the material to their student. Undisciplined lecturer will not able to lead their student to glory or success and it will be hard for lecturer to teach their student. Overall, a talented lecturer with a fully preparation for the lesson will make their student success in their study. I think that is very important , because if the lecturer did not prepare the material that will be presented in class will be lead to learning that is not effective and efficient . And students who are victims would not understand the material presented. And just a waste of time. So , lecturers need to prepare for the material to be delivered, so that students will understand the material. In my opinion, A lecturer must prepare the material that will be taught to students. Preparation is needed to determine what material will be given to students that day. A lecturer must be able to deliver the materials by using a simple example. Lecturers should be constantly updating their teaching in order to teach the way they look fun and not boring. Besides preparing the material before it’s given to students, lecturers must also have a new way of teaching so that the students interested to what is being taught. I hope all the lecturers perbanas do preparation before teaching the students in the class. So, do the lecturers need preparation? Yes of course. I agree with your article.A lecturer should be able to motivate students to become better and more advanced. Early to go to class Mr.Septo honestly I felt nervous but after the introduction of self and see how teaching Mr.Septo I am happy because he taught him a clear and easily understood.Lecturer must also keep abreast of the times so that students can easily follow a lecturer should also be able to communicate well with students because not all students come to class with the same maturity level.Therefore all teachers should thoroughly prepare materials that will be given to students. UTS/ENGLISH FOR ACADEMIC/TUESDAY/07.30-09.10/DKP-B/DK20021/AMELYA TIRTA SARI/1502000037/ Mr.DRS.IGNATIUS SEPTO PRAMESWORO, M. ED. TESOL. A professional lecturer good and definitely will prepare materials and the subject matter in class so that a learning process can be absorbed well by the students. According to the lecturer that can into my class is a lecturer with blank about the less convincing share personal because I do not fully lecturers can be mastering the material will be at convey. Also lecturer still need to learn as well as students with. On addition to presenting the material can be subject with good, professor who can be turn on atmosphere classes also can be leaving memories. For example like on student learning process saturation or not feel even sleepy. Lecturers the way convey the material will not make a very exciting and even sleepy students absorb the material can be it with good. So, according to the lecturer good I must do first preparatory before teaching in the class. For example, such as how to teach Mr. Septo who not boring. I agree with the article. When the lecturer wants to teach in class, it’s not easy. One of the lecturer, it should be able to master all the material to be delivered. And they except all the materials will be given to understand by all students. But there are some lecturer sometimes doesn’t require any scalp to prepare, some lecturer already experts to teach and understand her students, they no longer need proper prepare to teach in class. That’s when students gets bored if the lecturer teaching with the style like that. Students want when the lecturer teaching them to provide an atmosphere in a new way, so that students can quickly follow the lessons given. Thank you. Lecturer needs a good preparation for teaching in class. The material though must also meet the terms of learning for also students can quickly understand the material given to me, how to teach teachers to students should be fun, not too serious, but it makes the students are smart and like the college and faculty can appreciate the students duties and not boring. Lecturer are good who are able to provide motivation and spirit of valuable to his students in order to further progress in the most successful. If a lecturer need preparation? my opinion it needs to be because to injure all activities without exception the necessity of a preparation. Especially for a teacher as the lecturer must face characters of different pupils. Can be said a lecturer it is absolutely necessary to do preparations before he taught or entering a classroom. Because the task of a college professor is teaching then needs a little extra preparation in compare to other jobs. Because the transfer of science is not easy. Add in the science of the longer growing so the Professor claimed to always learn and motivate himself and his disciples. When his old course does not prepare how he can teach their students well. When a College Professor can be good is a lecturer who would appreciate his students and his work. Appreciative in this context is preparing materials to teach before he gave the material to his disciples so that when she later taught can be accepted and absorbed easily and well by his disciples. Materials in college are usually same from time to time and it made some lecturers not pas much attention to his or her materials because they know every detail of it. Some lecturers even still use the old-fashioned way for teaching his or her students in his or her class. Lecturers should learn to improve the nowadays way of teaching for his or her students enjoy and with ease catch every materials they had in the class. In my opinion, the way Mr. Septo teaching is excellent, he’s not only teaching the materials but he also give us motivation for continue study more the materials he shared. UTS/ENGLISH FOR ACADEMIC/TUESDAY/07.30-09.10/DKP/DK20021/Anisa Lady Pramudya Sita/1502000048/ Mr.DRS.IGNATIUS SEPTO PRAMESWORO, M. ED. TESOL. I think not all the lecturers knows all of his/her students, but i think its a must, because theres a lot of poin plus that the lecturer will get, first, the lecturer will get easier to see the students progress if the lecturer recognize the students, secondly the lecturer also will get easier too to give the students a point if the lecturer recognize the students. Theres a lot of positive impact if the lecturer recognize the students, so i think the lecturer need to know and recognize all of his/her students. The good lecturer is when he gives many homework or exercise but he will appreciate student work in a big score. A good lecturer should learn everyday or extremely sayings said that lecturer study on the whole of his/her time. A good lecturer is who always teach the subject matter clearly to students and always gives a lot of motivation. The good lecturer is kind, discipline and appreciate the student ability. The first teaching techniques that do Mr. Septo is to teaches us to smile every time,he is always on time to the classroom. Second, he always gives example every chapter, he is always understanding and patiently. Third, he is always giving spirit and motivation to students in order to become a better person. The best ways to get master English in Perbanas Institute is always practice reading,speaking,and writing. UTS/ENGLISH FOR ACADEMIC/TUESDAY/07.30-09.10/DKP/DK20021/Adiati Putri Utami/1502000046/ Mr.DRS.IGNATIUS SEPTO PRAMESWORO, M. ED. TESOL. MIDTERM-EXAM / ENGLISH FOR BUSINESS / MONDAY / 07.30-09.10 /SA-A / ROSALINA KUSUMA DEWI / 1511000023 / MR.SEPTO. Do lecturers need preparation? Absolutely yes, I think the lecturers need to prepare the materials that will be teaching to students. and I think the lecturers must be find way to making students easy to understanding materials lesson. Because every students has different capabilities, lecturer need to preparation patience too if his students still do not understand. Among several lecturer Mr. Septo including in lecturer who is patient. He always teaching his students until they are understand. That’s why the lecturer needs to prepare materials because everyone know that English is quite difficult and some students don’t understand. If the lecturers does not do the preparation, the learning process will not be attractive. Thankyou. God Bless You, Sir. UTS/ENGLISH FOR ACADEMIC/TUESDAY/07.30-09.10/DKP/DK20021/HAFSARI JUANSYAH/1502000045/ Mr.DRS.IGNATIUS SEPTO PRAMESWORO, M. ED. TESOL. I am very agree about Mr. Septo article. The lecturers needs a long time to prepare the materials that he or she will share in his or her class. Well prepared materials will make students understand more about it. Therefore, lecturers should pay attention to good diction according to circumstances nowadays and methods to teach shouldn’t monotonous so students can enjoy to class and they don’t get bored when lecturers begin shared his or her materials. In order to deliver the materials more effective, the lecturers can use game to make the materials easy to catch and make the class becomes interesting and fun. Lecturers should carefully prepared his or her materials so when the students asks, the can answer the questions like a piece of cake. UTS/ENGLISH FOR ACADEMIC/TUESDAY/07.30-09.10/DKP/DK20021/BELITA AYU SELVIYANTI/1502000047/ Mr.DRS.IGNATIUS SEPTO PRAMESWORO, M. ED. TESOL. I strongly agree with your article. Because Lecturer need to prepare for learning good and provess will affect the good students in learn. And make all students have prosess learn to more good. Teaching is a combination of pleasure (passion) and reasoning (reason). Teaching is good not just about how to motivate students to learn but teaching them how to learn by what we learned to be relevant, have a sense, and is remembered well. Teaching is a willingness to listen to, questioned, dealing with responsive, and understand that every individual student from every class is a personal a unique and different. The same of every individual student is in the final goal, which is getting science and education quality, so can be beneficial in their lives after graduating from education. Thank you. God Bless You, Sir. What is the purpose of lecturers present in the class? Or what is the purpose of students in the class? This is two simple questions with two simple answers. The purpose of lecturers in class is because their responsibilities are to transfer knowledge and convey messages embedded in topics and materials with series of interactions done in classroom. Students participate in those interactions in form of working group, assessment, role play, and activities related to improving skills and competence. However, when students cannot understand the material well in any means, could it be identifying as issue in this circumstance? It is identified that bad communication between lecturers and students contribute to the issue. Moreover, students are lazy to study but most of the time it is because the way lecturers teach in classroom is lack of innovation. For example, lecturer-centered rather than student-centered leading to implementing one-way communication that breaks motivation. Non participative working group discussion will ignore individual reaction to analytics, self-monitoring, and win-win solution in term of peer studying. Students’ expectation mostly failed to meet at least classroom they are dreaming of such as parroting instead of coaching and tutoring. Teaching method will not be changing all the time, but variation in all stages of era should be in lecturers’ priority. For example, integrating technology in such way of teaching in classroom will benefit both ends. The era of teaching method now is far different from what we saw few years ago. All in all, stance of lecturer in delivering message in classroom should be clear, concise, and involving student’s participation in way of assuming, concluding, and adding opinion in all stages of learning process. Lecturers are ideally able to convey messages in a very good way so that students could receive material in smooth way. To realizing this, it is important to have good lesson plan, and clear class activities starting from pre-teaching, during teaching, and post-teaching. In other words, wrap-up section can be summing up what was happened in that day so preparation before teaching is non-exceptional matter to avoid. MIDTERM-EXAM/ENGLISH FOR BUSINESS/MONDAY/07.30-09.10/SA-A/RIZKY DANANG PERIHAMBODO/1511000206/Mr.DRS.IGNATIUS SEPTO PRAMESWORO, M. ED. TESOL. UTS/ENGLISH FOR ACADEMIC/TUESDAY/07.30-09.10/DKP/DK20021/FEBRI ASIH KURNIYATI/1502000033/ Mr.DRS.IGNATIUS SEPTO PRAMESWORO, M. ED. TESOL. I really like and agree with Mr septo wrote an article because I think teaching preparation conducted by lecturers who teach students that need to be done because if it had serious intentions and whether it will affect the students who will receive the material to be provided by the lecturer. I have learned during my classes Mr septo learning that is not boring because not only listen, but we are also more exchange ideas, conduct a question and answer about the material that has been in the teachings by Mr septo or the assignment to do at home. In my opinion, a lecturer needs to a make preparations before teaching. Preparation is done to Determine the topics during the learning process. it is mainly a teacher must create a learning atmosphere that is comfortable and does not make his students feel tense during the learning process so that his students can catch a given lesson. A lecturer needs to create good communication in the classroom. Communication will be created if between lecturers and students have reciprocal communication. It is also to give encouragement. Therefore, a teacher needs to prepare for all These Things. I’m agree with that article. Lecturers need preparation to deliver the material. And know how to do that like slide presentation. So there’s bring out motivation in students to undertand it. And then using double language, because maybe there’re some student who dont understand if lecturers always use english langauge. A great lecturer is the one who has prepared all material being taught . But students also have to contribute so that not only the teacher or professor who is active in the class. And I agree, besides giving a lesson, the lecturer must teach his student personality as very influential personality in the work. For instance, professors must teach the right time to not come too late, responsible and well behaved toward other people. Lecturers should be open minded professors teach mainly in the economic field. In addition, it is important for faculty to get to know each – each student in order to know the advantages and disadvantages lecturers students. And students also must actively ask questions or make their own study groups in order to master a lesson. But some students are not going to do it all if there is no assignment, the lecturer must also give the task to make students more active and as a means of measuring the ability of the student . A great lecturer will prepare the material that all of the student can understand, because not all the student can understand what the lecturer are saying, it’s mean the lecture should make the material easy to understand, to make it easy to understand the lecture need too mingle with the student, to make him now how his student think, and use easily understood language. And the lecturers should learn to improve the way of teaching for the students, using the same way to teach will make the student bore, and even make the student didn’t come to the class. So if the material is easy to understand and the lecture make the class not bore, it will be good. A great lecturer will prepare the material that all of the student can understand, because not all the student can understand what the lecturer are saying, it’s mean the lecture should make the material easy to understand, to make it easy to understand the lecture need too mingle with the student, to make him now how his student think, and use easily understood language. Using slide presentation will greatly assist the lecture to make the teach better. The lecturers should learn to improve the way of teaching for the students, using the same way to teach will make the student bore, and even make the student didn’t come to the class. So if the material is easy to understand and the lecture make the class not bore, it will be good. MIDTERM-EXAM / ENGLISH FOR BUSINESS / MONDAY / 07.30-09.10 /SA-A / ALYA KHAIRUNISSA KURNIAWAN / 1511000013 / MR.SEPTO. I think good lecturers are the ones who can prepare the lecture before class. With that preparation, they can run the class smoothly and well. In addition, lecturers can get away from their nervousness from their students and themself. Lecturers can also learn to know their students abilities in English, see if they’re good or not. They also have to check how many of the students who still need help with their English, as though do they know about the tenses, grammar and the vocabulary. Mr. Septo always ask students if we understand the materials or not. He’s always willing to help us if we have some troubles with English. Do lecturer need preparation? Yes, I totally agree, because the lecturer must prepared the materials that will be taught to students. The lecturer should be able to dominate all the materials that will be presented to the students, so that the materials being taught can be absorbed well by the students, but the students will tend to get bored if lecturers teach in a way that ismonotonous, lecturers should be able to develop creativity so that the learning process is not boring. Lecturers also have to keep abreast of the times that students can easily understand the materials, the lecturers should be able to communicate well with students because not all students come to class with the same quality, therefore lecturers should really prepare the materials that will be given to the students so the material can be understood by all students. Thankyou. God bless you. UTS / ELI ROYANI (1511000029) / ENGLISH FOR BUSINESS / MONDAY / 07.30-09.10 / 6202/ SA-A / MR. SEPTO. Eli, thanks for the ideas. Talking teaching activities or education issues at various levels ranging from elementary, middle, top up to high. Every educational activities there must be interaction that occurs in it. Interactions that occur between a person can with people as well as people with a group. At each level of education is already the stuff is definitely different in their interaction. The frequency of interaction from the higher education level, the more reduced. That’s in line with the development of the mindset and maturity of one offender interactions. Whether it is effective or not? In terms of the maturation of the concept of mind and psychology, it does well. Highly unethical if an adult is still too guided and directed. It can hinder the maturation process mentioned above. A good fitting and how? Customized portions with that being dinteraksikan. Because these writings take the subject matter regarding the important is to recognize student lecturer then this article will be more focused on the high level of education. To be part interaction in high education level, one requirement is that the willingness of a fairly mature age. Because of this requirement, perhaps those who attended dijenjang high called “student” most of it has more meaning or is domiciled. That’s why the student is the offender interactions that special bodies. The opponent then their interaction was “Maestro” as well. In order for the interaction and communication that occurs can be connected and lasts well and achieved its goal. Talk the problem of interaction and communication, it is important for the interaction of the actors to know your opponent or opponents communication interactions so that what is mentioned above were carried out. A bit weird if there is no understanding or knowledge of the opponent’s interactions. Therefore every perpetrator should know very well his opponent. Starting from things as simple as the name to something more specific or specialized nature. In the example in the class teaching activities, interaction between the Maestro and the student must be a two-way happening and well connected. Wrong or how is by knowing his opponent. Maestro knows its student and vice versa. I think it is very important to student friends to increase the frequency or the quality of their interaction. So too for a Maestro to do similar things. This was done so that what the ditujuankan is reached. The conclusion is very important for a Maestro to know and knowing his student, so that kualiatas interactions that take place can develop better again and the original purpose of the interaction that is built is reached. Thanks Akmal. It is awesome. I absolutly agree about “Do lecturer need preparation?”, because prepare everything before teaching is very important. If the lecturer does not have preparation in teaching, how about his student? it is very not good, right?. So in this case the lecturer should also be smart to choose how he is to provide materials learning to students. I think preparation is not always about what have done you prepared the materials learning, the preparation is about how you can give your good spirit to your student. It will be positif value in your class, where all your student very excited when you teaching them.The lecturer also must have his way to teaching their student, because every student always have different character. So, my opinion about preparation are inside and outside must have good preparation, because it is very influential when lecturer teach. Alwin, thanks a lot. Hopefully, you could prepare before you enter the class. Every lecturer has its own way of teaching. A variety of ways from that explain to assign task for students. A good teaching is to use an interesting way to make the students want to follow the lesson. Even better if coupled with tools that support the learning activities. Not only teaching should also be able to create the feeling of learning come alive. While teaching should also be insert motivation and entertainment. All that needs to be combined to create an effective learning. So the lecturer needs to be prepared before teaching. I agree. I think smart lecturer must do preparation. Preparation is important for the lecturer. Because, preparation can make lecturer teach well. Lecturer will understand, what the lecturer do during the class. Lecturer is role model for students. If lecturer want smart students and dilligent students, the lecturer must do well preparation. This will take effect for students. Students will quickly understand a lesson. But it’s just my opinion, it’s up to the lecturer. Because the students job is study. Thank you. In my opinion, lecture also need to be in recogniting the background of students by understand of the students. lecture can to deliver material used in accordance with the provision of the students, So the material was not to difficult for students. and lecturer should also have structure in teaching in starting from the introduction, point and conclusion. the structure of this kind of make it easy for students to digest and also easy to make powerpoint. For example first it’s an of learning and points of the material that will be discussed, so students can be follow a lecture and at the end which contains a summary of the main points that have been delivered. To find out the understanding of the students, lecture can ask some question of regarding what the has been submitted. The key to the good in the preparation of material to be delivered. If the lecture really prepared material in earnest, then the teaching will be easy. Lecturer should also make the teaching became more attractive by using experience. And the last lecturer should have physical and have high patience in giving or explain to students sometimes there are students are smart and less smart. Therefore lecture should be able to make students understand. Good lectures are lectures who are able to make the students understand what is being taught. For me lecturers should prepare their materials because teaching is a form of preparation prior to the spirit of a given faculty to students. Mr.Septo always prepare materials to be studied, he always set a good example as the discipline in terms of time, it is never too late to teach. Teaching techniques are best in Class Mr. Septo he taught his students clearly and slowly. Mr. Septo always taught the way to have good behavior and Mr. Septo always give duties and examined it carefully.The thing I remembered was Mr. Septo want his students to smile.This is the way Mr.Septo to teach his students to better. The lecturers before teaching need to do the preparation. Preparation can be used as a basis for drawing up the plan of learning in order to make it more focused and effective and efficient. The first best teaching techniques of Mr. Septo’s class are he teaches his students presenting the material in a clearly and slowly. The second he patient teaches his student in class. The third he is gives us a lot of home works in every week with the purpose that students have to study at home and practice our English more from the home works. In Mr. Septo class the students must be smiling. He is a good lecturer. He can motivate the students to be a better person. Every lecturer needs preparation before teaching in the classroom. The learning process will be more effective and efficient, and students can understand that the material submitted by lecturers. This will be very good for the learning process in the classroom, because students will be more interested with the courses submitted by lecturers, and students can be more active in the class. If the lecturer does not do make a preparation. The learning process will not be attractive to students. Besides that the material that will be given can not to understand by students. Becoming a lecturer related to prepare learning material is quite important. The lecturers had to know and understand what the learning material will be explain to the students, especially with methods and ways of teaching. There is a difference of the unique things happen during the course of Mr. Septo, like the hand should not be leaning chin, a sitting position. In addition, Mr. Septo also often give homework, each homework which have finished always be checked and looking more specific things like Grammar and Tenses. In the class, Mr. Septo teaching use a Ms. PowerPoint(PPT) and whiteboard. However, I prefer he is explain the subject using a whiteboard, because I can understand and rewrite the subject described in my notes. Mr. Septo also invites his student to confident learning English and brave to try speaking and respond with English language. If we are wrong, Mr. Septo immediately to correct. Mr. Septo was asked his student how to speak English like style Cinta Laura, its purpose in order to train pronunciation our English so as not stiffly and relaxing. Lecturer needs a preparation because every classroom has different level of ability. A lecturer needs preparation to make something new to his student to understand the materials. Studying needs motivation. So if a lecturer makes preparation first, he can create many ways to motivation his students for give more attention and concentration in the class. This is because sometimes classes are boring. The material must greatly assist students in understanding the lessons content. A lecturer must prepare the materials before teaching to make a good atmosphere in the class and make students easy to understand materials lesson. A learning process can be effective if student can understand clearly what is conveyed by a lecture. In this case if the lecturer does not understand or did not prepare the materials for learning. How students will understand what is conveyed by the lecture. So it’s bad for the value or the understanding of the students themselves. I think lecturer should be able to preparing the material for learning. If lecturer can explain with uses simple language and easily understood. Students can understand what has been taught lecturer. In my opinion, a lecturer needed to make preparations before lecturing. Preparation is done to determine the topics / materials to be given. The other thing is to make connections during the learning process. A lecturer needs to create good communication in the classroom. Communication will be created if between lecturers and students have reciprocal communication. It is also intends to give a boost to the students to be active in the classroom. Therefore, lecturers should prepare all these things. In my opinion, lecturers need preparation before teaching. Why? Because if something is prepared well, then will get good result anyway. For example, before teaching lecturers to read first the materials will be given. If previous lecturers have read the materials will be given, then in the process of teaching will be going well. It will create good communication in class and the students to learn. The spirit of learning is needed in the process of the teaching and learning. So, is expected to lecturers to the preparations before the teaching. In my opinion a lecturer is very necessary to have preparation for teaching a lecturer will know what he conveys to his students. A lecturer must to understand the lesson that he convey to students. If there is preparation lecturer will explain clearly so that students can understand. Whit his preparation a lecturer can also be calm in the face of his students. Whit the preparation of the lecturers ready to work. A lecturer can finish it is work punctually. In addition the lecturer have preparation will be easy to take a decision. The lecturer requires preparation to deal with problems in class. Students will feel motivated if professors have adequate preparation. Students more easily understand if the lecture ready with the material that will learn. In my opinion lecturers need preparation before teaching. Because in the learning there are different components that interact and cooperate in achieving the learning objectives. One of the main tasks as a lecturers in developing learning strategies for the learning process goes smoothly. Should be prepared before teaching lecturers are materials, methods of teaching, learning media, and evaluation. Lecturers also teach in accordance with Semester Lesson Plan (RPS), using RPS lecturers will be able to teach effectively to always make a plan before teaching. Planning before teaching can bring initiative and creative lecturers, thus increasing interaction between lecturers and students. It’s important because the preparation of the material before teaching will make learning activities in the classroom be effective and efficient. It is not only helps lecturers delivered curriculum is well, but also to make students more quickly in understand. If the lecturer does not prepare the material before teaching, The lecturer will have difficulty in delivering content of the material and He will not be able to share time in its delivery and will not detail about it. Prepare well before teaching is a form of a lecturer honours himself and respect students. To teach two hours in the class, it is likely the preparation more than two hours, or even two days. Lecturer also must have ways to prepare teaching. As of ways to prepare teaching, first lecturer must increase reference of new matter. In increasing reference of new matter, lecturer can receive from book, the internet, newspaper, and others. Increase reference of new matter, make knowledge lecturer grows and knowledge possessed lecturer could be submitted to students. Second, lecturer must prepare material which is to be presented. Very it is necessary for lecturer prepare matter to be presented to students. Lecturer and students were alive symbiosis mutualism, namely living things beneficial. Those who each other useful that is lecturer and students equally needed each other. The material that was presented by lecturer can be book, slide presentation, hands out. This material very helpful students in understanding content lecturer. Third, lecturer prepare scenario learning at the class. Lecturer must prepare scenario learning at the classroom, because in making scenario learning at the class can made it class to life that is lecturer interact with students. The last, lecturer must prepare physical and bounce off. Lecturer is fuel motivation in the class. So lecturer must prepare physical and bounce off good, that lecturer teaching in front of students don’t nervous or forgotten with matter to be told. Prepare physically and bounce off lecturer can be easily given material, example, and motivation for students, as well as making students to be good at this in listening lecturer talk about the material that was presented. In my opinion, one of the keys of success in teaching and learning process is preparation. Both lecturer and student need to prepare. Therefore, our effort to create an effective atmosphere can be done well. As a lecturer, the benefits of preparation is to arrange learning strategy. So the learning process can run effectively. Students need preparation too. Preparation will make students more prepared to learn a lesson. Students can also remember the materials which have been learned. I really love the comments that all people, all my students, all my friends, and all colleagues that love this article. Thank you very much . God bless you all always. Amien. Perbanas Institute is always blessed by God because God and all of us love Perbanas Institute. Thank you so much sir, Preparation of lecturer in teaching can be done in many ways. First by reading the literature that records the development of the latest science to be taught. Second, prepare the material that will be taught to students. This material may include textbooks, slide presentations, or other relevant materials. This material will be more assist students in understanding the course content. Third, prepare scenarios in the classroom. This scenario should not be written, but how to spent a time in the classroom, how students are involved in the process, and how to teaching materials provided. It is must be planned. The last one is use a language that easily understood. That is all of my opinion, hope it will be useful. Thank you so much sir, lecturer are professional educator and scientist with the main task of transforming, develop, and disseminate knowledge to student. My perception of the student disciplinary pretty good, especially related discipline time. In this case the discipline of time is something that is very important. In fact there is a saying that “time is money”. This show that at that time is precious and should be used as best as possible. I was very impressed by the lecturer in lectures not only taught about college, but also taught a motivation. Comes the positive perception, it can add a sense of fun of its own against the lecturer so as to facilitate the learning process. It was all in my opinion, more or less I’m sorry. Thank you so much, Sir. A lecturer is a professional educator. He is also scientist with some main tasks. The tasks are for example: transfer his knowledge to his students, develop his knowledge, and disseminate his knowledge to his student. My perception of the student’s disciplinary is pretty good, especially if it is related time discipline. In this case the discipline of time is very important. Wise words say that time is money. This shows that time is precious and it should be used as best as possible. I was very impressed by the lecturer in lectures not only taught about university, but also a motivation. For me, it can be a positive idea. A good lecturer is able to add a sense of fun as well as to facilitate the learning process. It was my opinion, more or less I would like to say sorry. Preparation of a lecturer in teaching can be done in many ways. Firstly, a lecturer must read the literature that records the development of the latest science to be taught. Second, he must prepare the materials that will be taught to his students. These materials may include textbooks, slide presentations, or other relevant materials. These materials will assist the students more in understanding the course content. Third, a lecturer must prepare some scenarios in his classroom. This scenarios should not be written, but he must know how he spends his time in his classroom, how he manages his students involved in the process, and how he deals with his teaching materials provided. The materials must be planned. The last one is that he has to use a language that should be easily understood. That is all of my opinion, I hope that it will be useful. In my opinion I think that a lecturer need good preparation.Due to preparation before teaching is important, lecturers should review the material that will be taught in the classroom. Reviewing the material that will be taught are very important. Aim to facilitate the learning activities. lecturer must teach students in detail and lecturer should be open minded. Science and the cases at this time are always evolving. The preparation is the key of teaching and learning. Both lecturer and student needed a preparation before class. The preparation also make teaching more efficient. Thank you so much sir, Mr. Septo lecturers are professional in providing and teaching positive things to students. Mr. Septo have a way to teach students by themselves, and always teach discipline and tidiness, after hours of courses English for Professional Purposes, Mr. septo always give time to students for consultation and study. I was amazed by the way of teaching. Mr. Septo addition to providing an explanation in the college but also provide motivation to the students. This in my opinion, more or less I’m sorry. Every lecturer is professional educator. Usually, lecturer preparation before they go to class. Firstly, lecturer should learn. It is because science continues to evelove very fast. Secondly, a lecturer should prepare teaching materials that can be absorbed by the student. This material may include textbooks, slide presentations or journal. This material will greatly students in understanding the learn content. Third, a lecturer should know how condition his students. It is because not all his students have same motivation to come to the class. Finaly, a lecturer should use simple language. Simple language make students very easly to understanding what his lecturer say. I think that is my opinion. I hope my opinion can help every lecturer to preparation before coming to the class. Thank you so much sir, Mr. Septo. Lecturers are professional experts in providing materials for their students in their fields. Lecturers have task to teach positive things to their students. 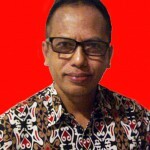 One of the lecturers that I know in Perbanas Institute is Mr. Septo. Mr. Septo has a special way to teach his students. He also has some good characters in teaching. They are discipline, punctual, tidy, and conscientious. I know these characters because I am his students in this odd semester, 2016/2017 academic year. I join his English for Professional Purposes course. Mr. Septo always gives time to his students for consultation and study. I am amazed by the way of Mr. Septo’s teaching. Additionally, Mr. Septo provides an explanation in his class by motivating. This in my opinion, more or less I’m sorry. In my opinion I think that a lecturer needs good preparation. Due to important teaching preparation, lecturers should review materials that will be taught in the classroom. Reviewing the materials is very important. The aim of reviewing the materials is to facilitate the learning activities. Lecturers must teach their students in detail so their students can be open minded. Their knowledge and experience increase. Therefore, the preparation is the key of teaching and learning for both lecturer and student. The preparation also makes teaching more efficient. Swimming in the swimming pools is my hobby. Every lecturer is professional educator. Usually, lecturers must have preparation before they go to their classes. Therefore, they have to do some steps. Firstly, lecturers should learn by themselves. It is because knowledge continues to evolve very fast. Secondly, a lecturer should prepare teaching materials that can be absorbed by the student. This material may include textbooks, slide presentation, or journal. This material will greatly help students in understanding the content. Thirdly, a lecturer should know the condition of his students. It is because not all of his students have same motivation to come to the class. Finally, a lecturer should use simple language. Simple language makes students easily to understand what their lecturer says. I think that is my opinion. I hope my opinion can help every lecturer to prepare before coming to the class. Lecturer is a professional educator. To become a professional lecturer, lecturers need good preparation in teaching. Firstly, preparation is reviewing resource materials to students who want to be taught. Lecturers must teach the material in detail so their students can be open minded. So that students gain knowledge and experience are increasing. Students also requires preparation. That’s a key to success in the learning process. So the learning process can run effectively. Tri_1311000135_S1ACC_Wednesday13.30-15.10_EPP_Mr. Ignatius Septo Pramesworo, M. Ed. TESOL. According to my every lecturer definitely have preparation before teaching students in the classroom. Like mr septo even though has proficient in english but mr septo still always brought into a dictionary english class, And one of preparation mr septo before class i remember it is he was preparing to the topic on sentence patterns ago in photocopy and be distributed to student in class. A few comments from me , because many comments represent of my comments , less more i am sorry. I am agree about lecturer need preparation before teaching because every lecturer must understanding and mastering with subject that will be teaching in the classroom. If students wanna ask about subject, lecturers can respond to with clear because the lecturers totally understand about to be become the basis for their experiences in the class. I think that is my opinion. I hope my opinion can help every lecturer to prepare before coming to the class. Based on my opinion, lecturer needs preparation. First, lecturer must prepare his materials perfectly so his students can understand it. Second, lecturer needs to prepare their physics and mental because he will give the materials in the class, if the lecturer give the materials in a bad mood condition, then his students will not understand about the materials. Third, lecturer need to explain his material in an easy way, because sometimes not of all his students can understand it. In my opinion, lecturer must prepare themselves before they teach their materials to the students, because it will be easier for them to teach the material to students that do not understand the material at all. If lecturer did not prepare their material, then the lecturer will get difficulties when explain it in front of the class. Preparation also need for lecturer to answer student questions that related to the materials. If the lecturer did not understand the material and can’t answer the question, then the students will think their lecturer did not have skill or competency to teach the material. Futhermore, it will destroy lecturer’s reputation because the students will think their lecturer seems did not serious when teaching in front of the class. I hope my opinion can be accept by Mr. Septo. I agree that lecturers should prepare the material before teaching. Because then the lecturer can be better prepared to explain the material during the process of teaching. And students will better understand the material conveyed lecturer if professors have prepared or are already studying the previous material. If the professor does not prepare the material, then the lecturers will be seen not comprehend the material to be taught, and students can assume the lecturer is not competent. This is my opinion. In my opinion, the lecturer must prepare himself and his material before he deliver it to his students. I think that will be easier for the lecturer to answer his students questions when he know the materials well. If lecturer does not prepare himself, then he will get difficulties when he answer his students questions. Beside that, it’s better to remind the students about previous materials in the beginning of the class, so the students will not forget their previous materials. The last thing is, it’s better to take a pray before class begin so the students will be easier to understand all the materials. I apologize if this opinion have so many error. I hope Mr.Septo can accept my opinion. Thank you. I strongly disagree because lecturers should understand the material that will be presented to students. if it does not understand the material, students will not understand what will be delivered by lecturers. and it can make a student so no enthusiasm in learning. it’s just that I can say. Vicky, thank you for your comment. Unfortunately, I do not understand the idea that you wrote. Please, discuss this with me. In my opinion, a lecturer must prepare himself. He has to prepare his materials before he delivers it to his students. I think that will be easier for the lecturer to answer his students questions when he knows the materials well. If the lecturer does not prepare himself, then he will get difficulties when he answers his students’ questions. Besides that, it’s better to remind the students about previous materials in the beginning of the class, so the students will not forget their previous materials. The last thing is that it’s better to take a pray before class begins so the students will be easier to understand all the materials. I apologize if this opinion has so many errors. I hope Mr. Septo can accept my opinion. Thank you. I agree that lecturers should prepare the material before teaching. By preparing materials, lecturers can be better to explain the materials during the process of teaching. Students will better understand the material conveyed lecturers if they have prepared or are already studying the previous material. If the professor does not prepare the material, then the lecturers will be seen not comprehend the material to be taught, and students can assume the lecturer is not competent. This is my opinion. Hasbi, when I come into your sentence “And students will better understand the material conveyed lecturer if professors have prepared or are already studying the previous material.” I am very curious and surprised. Please explain this in the class before I continue check your work. In my opinion, lecturers must prepare themselves before they teach their materials to the students. The lecturers will be easier to teach the materials to students that do not understand. If lecturers do not prepare their materials then the lecturers will get difficulties when explaining in front of the class. Preparation is also needed for lecturers to answer the students’ questions that are related to the materials. If the lecturers do not understand the material and they can’t answer the question, then the students will think that their lecturers do not have enough skills or competency to teach the material. Furthermore, it will destroy the lecturers’ reputation because the students will think their lecturers seem not serious when teaching in front of the class. I hope that my opinion can be accepted by Mr. Septo. Irvan, remembe, studying English needs internal motivation. Please study hard, my son. Mr. Septo lecturers are very professional, the good professor and discipline, lecturers who are always impatient to students, the good professor was always smiling when teaching and asked students to smile, give the material well in detail, always give motivation to students, I think the way to more understand the English language professional purposes should try and follow each plot. Preparation of faculty in teaching can be done in many ways. First, prepare teaching materials that can be absorbed by the students. This material may include text books, hand-outs, slide presentation, or a copy of a journal / parts books / magazines scientific / other relevant materials. Both prepare scenarios in the classroom. This scenario does not have to be written, but what about the time spent in the classroom, how students are involved in the process, and how the teaching materials provided, should think. and third to prepare physically and mentally. Students will feel very motivated when the professor came in late, without a fresh face, and not spirit while teaching. Lecturers are spreaders of motivation in the classroom. Without adequate preparation, it seems very difficult to motivate students to be actively involved in the learning process. Woro, there are lots of ideas to improve you as a human. In fact you show several matters that people do not like. Be honest, my student and please study harder. in my opinion, good lecturing is a process of continuous improvement, so always strive for best practice with your presentation style. You can be animated without being theatrical – after all, you are not putting on a show – but you need to keep your students’ attention. Avoid fidgeting and keep body language strong and confident. One of the crucial elements to a successful lecture is the planning process. You need to be fully confident about the content, structure and delivery of the material before you begin, so organisation is a key part of successful lecturing. Citra, thanks for the ideas. as a good student you should prepare your study and your life. Amien. All my students and my colleagues, please enjoy reading and giving your ideas or opinions. I know that writing is not simple but we should try. Thank you. God bless us always. Nowadays, there is a kind of shift in the process of being a lecturer and performing the duty of a lecturer. A lecturer in Indonesia must do three services in his or her life. The most important point is doing a research til writing a scientific paper in a journal. The second point is teaching or lecturing. Finally, the last point, a lecturer must do a community service. Indonesia government forces and pushes its lecturers to do all these 3 points. If not a lecturer can be stopped to be a lecturer. I agree with your opinion, Sir. It could be a critic for those who teach their students without well preparation .. I like the lectures who teach the student in various methods, so the students feel happy to what their teaching ..
By the way, I like this sentence “teaching is an art”, the last words on your article .. Previous story Human Capital Management (HCM) dan Manajemen Sumberdaya Manusia (MSDM), Beda atau Sama?